We are now officially (and have been for a while) paying a rental fee on the tennis courts. We are happy to be contributing towards the maintenance of this awesome public facility. For the most part this will not change anything about the courses, they will still be awesome. However we are now formally booking hours with the City so they can see how much tennis has grown in our community and hopefully they will see how amazing our players are! We are looking forward to continuing to getting more kids and adults loving the game. The unfortunate news is we have had to cancel the Roger Rookie Tour on the 13th July (if you have already signed up you will receive a full refund from Tennis Canada soon), this is partly down to a new rental fee and partly down to the fact that we want to bring in some new and hopefully better events next year. As always we are always trying to improve the programs. 30th-2nd no longer running as I have family in town. vacation time! 3-5 years Starter camps are also filling up. Rachel and Heather will be delivering funky arts based projects, with chilled out vibes for the hot summer days – great offer for kids aged K-G. Full and half day options + sibling discounts. Website and more details here. Bonus, Kerri Holmes will also be delivering workshops for older youth and adults during August. Mondays: Classes for 2.5 yr old to 3 yr old. 2 hours (1 hour art project 1 hour outdoor play ground) Morning class 9:00-11:00 $15.00. * please pack a water bottle and light snack. Dress in non precious clothes. We have a fun filled summer camp planned already! registrations and calendars are available to view and print ( in forms section). We recommend printing your form and bringing it to the registration fair April 5/6th with full payment or $100 deposit to secure your spot. View their summer camp schedule here. Weekly themes include: Disney, Health and Nutrition, Splish Splash etc. Fernie is unbelievable when it comes to available kid’s programs and camps. I’m so glad we’re in Fernie at a time when the population is so young and booming. I found a few options for this summer and I’ll try and add to it as I find them. 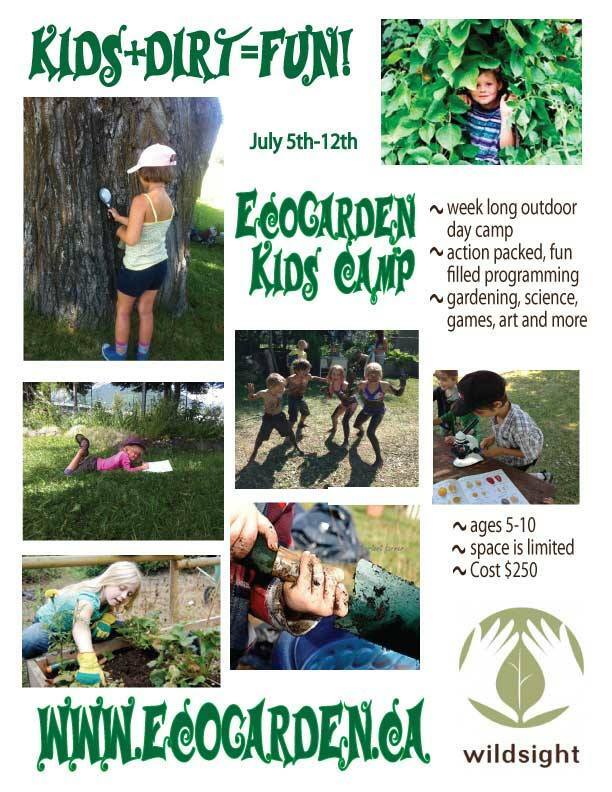 • EcoGarden Kids Camp: The EcoGarden Kids Camp will be offered for one session for summer 2015 on July 5th thru 12th. Space is limited, register immediately to secure your spot. A week at the EcoGarden Kids Camp costs $250 (incl. 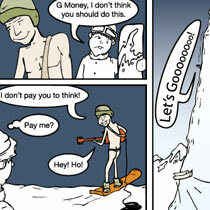 tax). The kids (age 5-10) will have their days filled with gardening, science, art, music, games and a whole lot of fun. Register at the upcoming Spring Registration Fair on April 1st and 2nd. • Fernie Adventure Camp: Fernie Adventure Camp is a 5 day camp that takes place in the Elk Valley. Throughout the week participants will discover whitewater canoeing, hiking and outdoor living skills. The camp is for youth ages 13-18. No previous experience is necessary! By the end of the week participants will camp out over night as we embark on a two day culminating moving water canoe trip. Organized by Fernie Connections Foundation. • Ideal Judo, Arts & Leisure Camp at I.D.E.A.L. Society: The practice of Judo is an exercise through which children develop concentration, mutual respect, teamwork and self-knowledge. The purpose of this camp is to provide children with nourishing activities for the physical, emotional and intellectual levels. Participants experience watercolor painting and crafts, observation of nature, hikes, storytelling, bread making, games and swimming in a natural environment. • Ideal Violin & Ukulele Musical Adventure Camp at I.D.E.A.L. Society: Nadia Navarro and Anie Hepher host this 5-day musical camp which includes violin and ukulele jam sessions, singing, ear training, rhythm, postural classes, judo, story-telling, drama and crafts. The students offer a performance open to parents and members of the surrounding community to close the camp. For beginner to moderate students ages 7 and up. • Theater Camp at I.D.E.A.L. Society: This camp introduces children ages 6 to 14 to the art of theater, which is a wonderful tool for self-expression. Participants experience music, dance, set and costume design, crafts, swimming and games in an outdoor forest setting. The stage director, Gabriel Hoffman, works with each child individually to develop posture, movement and enunciation, including each child’s talents in a musical play he creates for the occasion. The children participate in a public performance in an outdoor theater. The Theatre Camp is supported by local businesses and organizations.